The German language Der Spiegel magazine in a recent editorial attempted to sound the alarm of encroaching Russian influence in NATO connected with Russia's advanced S-400 anti-aircraft systems. 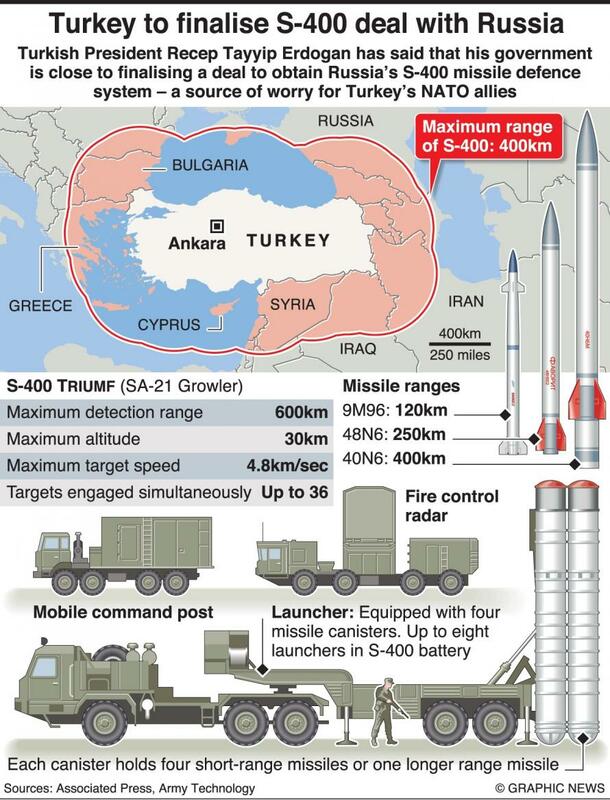 "The Turkish government wants to buy the state-of-the-art Russian S-400 anti-aircraft system. NATO considers this a serious provocation: the system is not only incompatible with the alliance's existing defenses, but it could also expose secrets of the new US F-35 fighter jet to Russia, which Turkey also wants to buy," according to a rough translation from the German. Der Spiegel's editorial was published at end of a week in which the NATO/US and Turkish relationship threatened to reach a breaking point. As we previously reported Turkish Prime Minister Mevlut Cavusoglu recently warned that Turkey would retaliate if a bill being pushed by House Republicans to block arms sales to Turkey becomes law. US lawmakers released details earlier this month of a $717 billion annual defense policy bill that included a provision to temporarily halt weapons sales to Turkey. During a subsequent interview with broadcaster CNN Turk, Cavusoglu criticized the measure, saying it was wrong to impose such a restriction on a military ally, alluding to the fact that Turkey has graciously allowed the US to use its Encirlik air base to launch its air strikes against ISIS (as well as against Turkey's enemy the Syrian government of Bashar al-Assad). "If the United States imposes sanctions on us or takes such a step, Turkey will absolutely retaliate," Cavusoglu said. "What needs to be done is the U.S. needs to let go of this." Will Turkey's retaliation come in the form moving forward with installation of Russia's S-400 missile system? While still a ways away from becoming law (and its unclear if President Trump, who has publicly praised Turkish President Recep Tayyip Erdogan) the proposed US National Defense Authorization Act would block sales of "major" arms to Turkey until a report on the relationship between the US and Turkey (which is also a component of the law) is completed by the Pentagon. The implied target of the bill would be the 116 F-35 Lightning II fighters that Washington has promised to sell Ankara, of which 100 are almost ready to be delivered. The bill is in many ways a response to Turkey's recent purchase of S-400 air defense systems from Russia. And interestingly, NATO is now pushing the idea that Russia supplying a NATO member with the advance S-400 would open up Turkey to unprecedented access to Russian spies, especially as the system installation would require months of technical training and Russian-Turkish military-to-military cooperation. The Der Spiegal editorial presents this "Russian exploitation of NATO weapons systems" point of view in its provocative article — below is analysis and translation of select passages authored and submitted by Leith Aboufadel of Al-Masdar News. For NATO, the supply of Russian S-400 anti-aircraft missile systems to Turkey is a real “provocation,” the German magazine Der Spiegel writes. The alliance fears that with the help of the S-400, Moscow will be able to find the strengths and weaknesses of the fifth-generation F-35 fighter jets that Ankara intends to purchase from Washington, the publication said. “Ironically, the S-400 is considered potentially the most dangerous enemy of a multi-functional fighter, which in the next few years will become the basis of the US Air Force and other countries,” Spiegel writes. As further reported, servicemen of NATO countries are wary of deliveries of Russian SAMs, since, in their opinion, they can become Moscow’s “eye in Turkey”. With the help of the S-400, Russia will be able to obtain all the data on the F-35 and other combat aircraft, the authors believe. “For the F-35 armament system, of which stealth technology and data transfer capabilities are critical, this would be a disaster,” the publication notes. 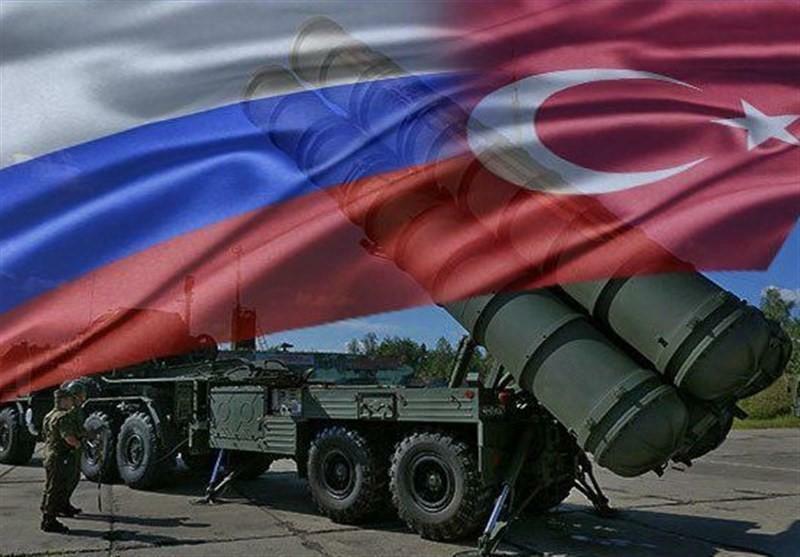 In December last year, Turkey and Russia signed an agreement on the supply of the S-400 system. Ankara will buy two batteries of air defense systems, which will be serviced by Turkish personnel. The two sides also agreed on technological cooperation in the development of the production of anti-aircraft missile systems in Turkey. The United States, as well as NATO representatives, repeatedly expressed dissatisfaction with the supply of S-400 to Turkey. US Assistant Secretary of State Wess Mitchell stated that the purchase of Russian SAMs could negatively affect the supply of American F-35s to Turkey.